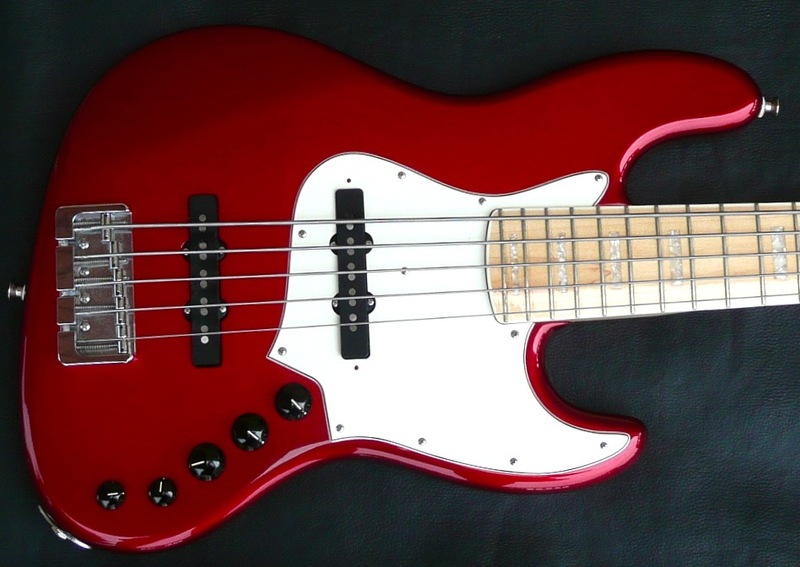 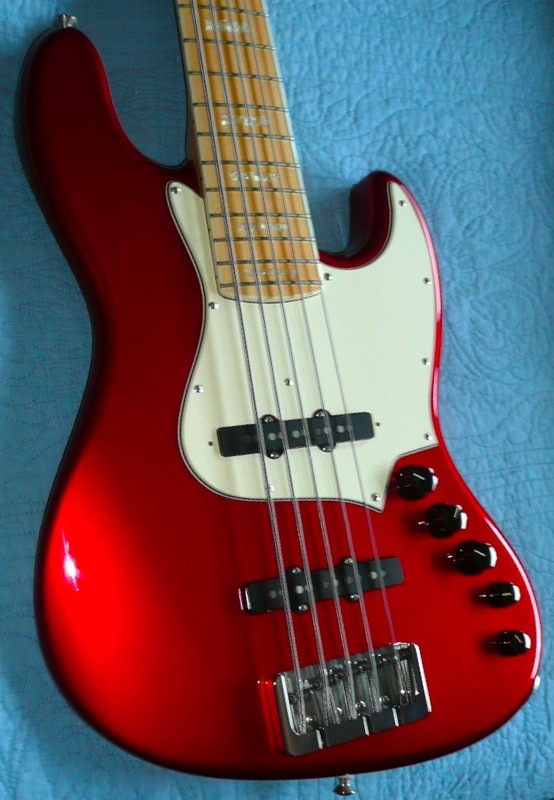 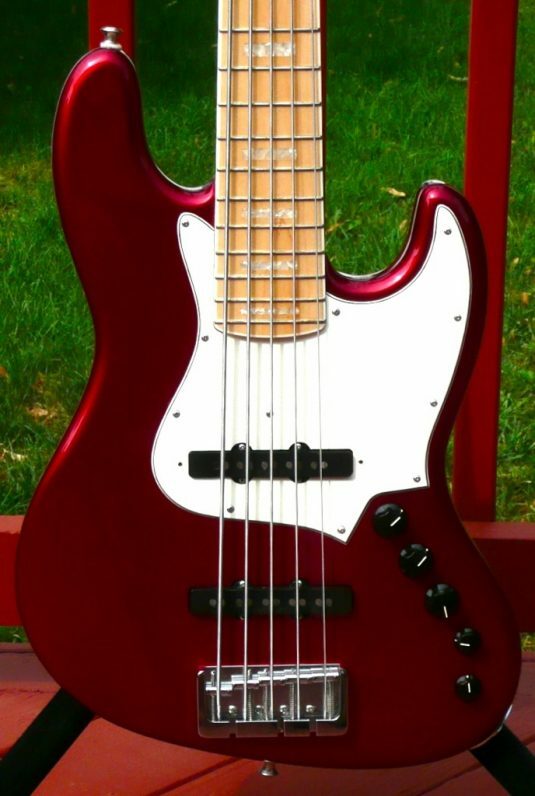 This bass is a recent trade in that is not expected to be here long , given the comparative cost of a new one like this and the long wait time on new A-C orders. 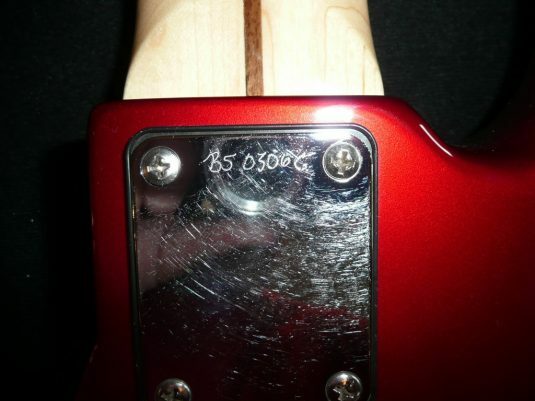 This example is is tremendous condition , in one of my favorite old time Fender colors – Candy Apple Red ( CAR ) , with a matching headstock to boot – sccccccchwingggggggggg ! 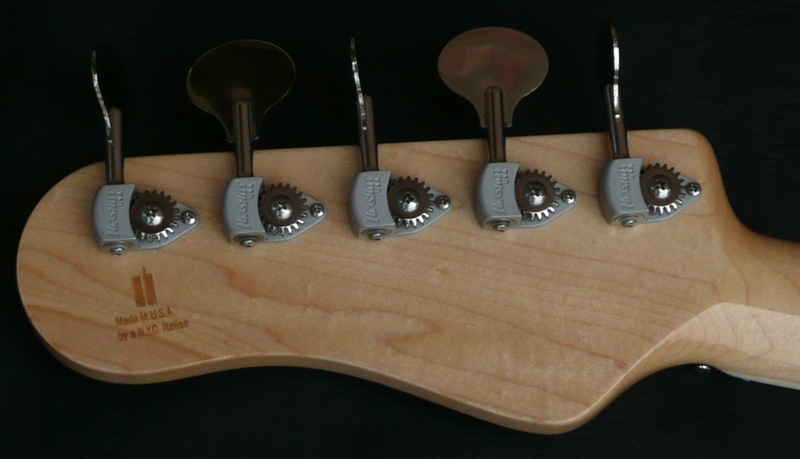 The LM ( like Marcus ) model is a ’70’s era vibe , with the pickup placement pushed a bit back for that added funk. 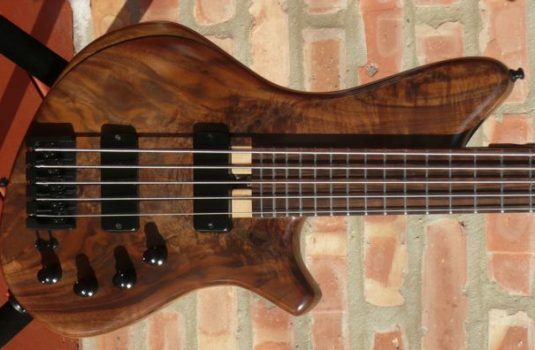 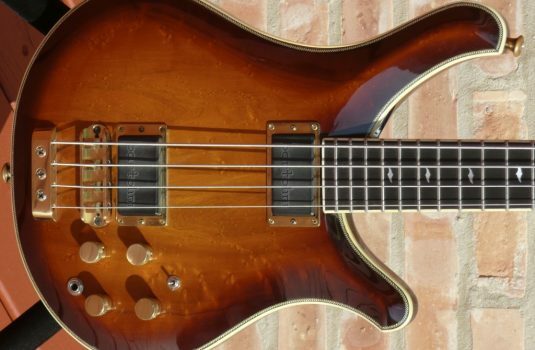 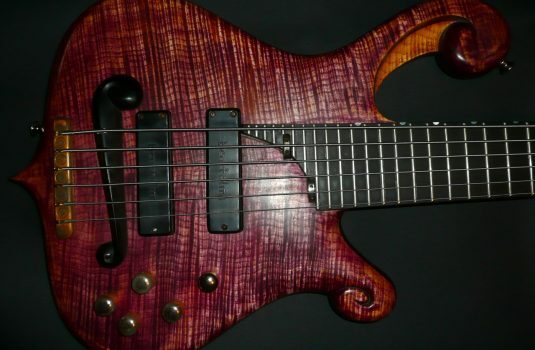 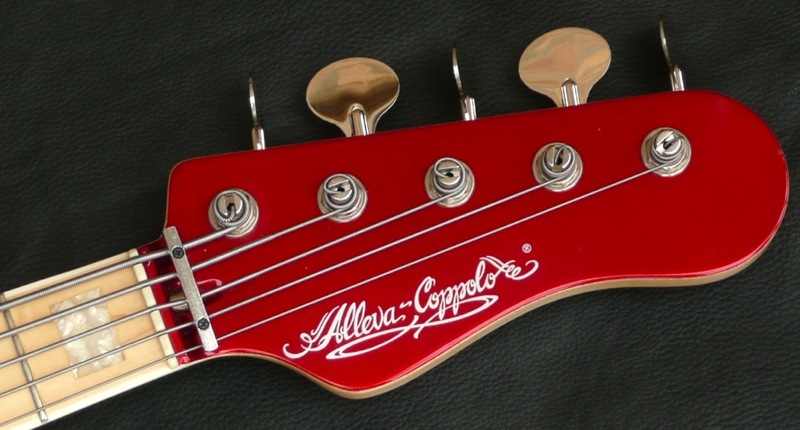 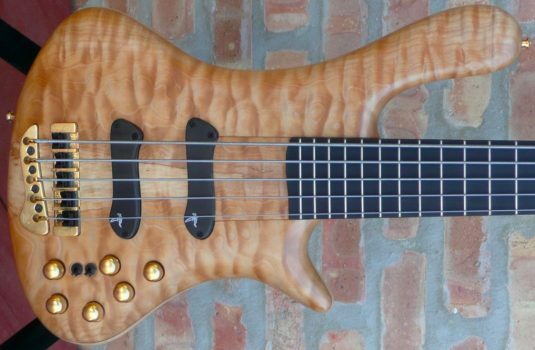 These do not come up for sale very often – if you are in the market for an Alleva-Coppolo 5, I suggest you take a close look at this bass.